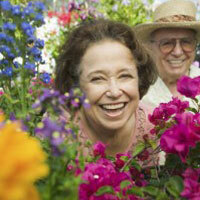 In Real Estate it’s location, location, location – do you have to move to live longer? In medicine, it’s lifestyle, lifestyle, lifestyle. The American Academy of Anti Aging and Regenerative Researchers from the Harvard School of Public Health have found that the anti-aging lifestyle can add 24.6 more years of productive lifespan. The research team found that the longest-living Americans are Asian-American women residing in Bergen County, New Jersey USA. They live longer than any other ethnic group in the United States to an average lifespan of 91.1 years. In contrast, the Harvard team found that the shortest-living Americans are Native American populations in South Dakota, despite receiving free or low-cost government provided medical care living an average lifespan of 66.5 years. A distinguishing characteristic of the Bergen County women’s longevity is that they are availing themselves of the armament of state-of-the-art biomedical technologies in advanced preventive care, including preventive screenings, early disease detection, aggressive intervention, and optimal nutrition – all of which are cornerstones of the anti-aging medical model. Great information, Lorraine! Thank you. I have to move back to Bergen County. Glad you enjoyed it and to see that you are back in NJ. Stay well.